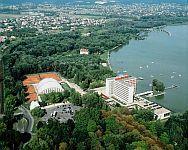 The hotels at Lake Balaton offer a wide range of services for all who need an active rest, or a bustle bath life. 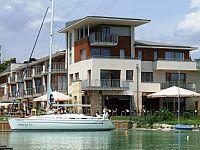 Hotels directly at the shore of Lake Balaton with breath-taking panorama to the lake. 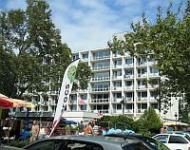 Discount prices and and special deals in the hotels of Lake Balaton. 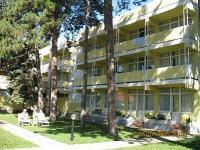 Spend your holiday or a long weekend at Balaton whether at autumn or winter! 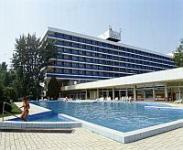 Hotel Europa is situated in Siofok that is the largest holiday resort at Lake Balaton. 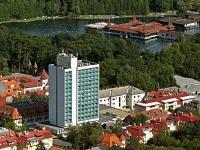 Hotel Europa - lying directly on the shore of the lake - offers 139 rooms, own restaurant and a sandy and very shallow private beach that is an ideal place for families with young children. 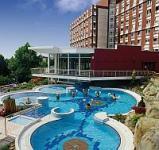 Beyond the usual hotel services the hotel offers whole day amusement, sport facilities and programs for the children. 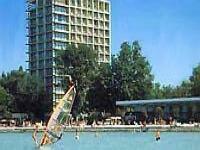 Hotel Hungaria is situated in Siofok that is the largest holiday resort at Lake Balaton. 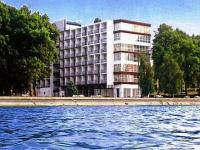 Hotel Hungaria - lying directly on the shore of the lake - offers 131 rooms with balcony, a drink bar in the lobby and a sandy and very shallow own beach. 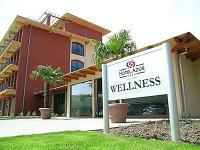 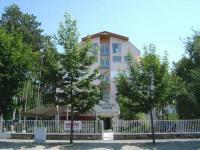 The hotel is an ideal place for families with young children. 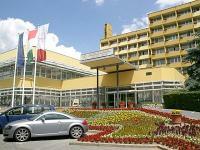 Beyond the usual hotel services the hotel offers whole day amusement, sport facilities and programs for the children.